February 2017 - Exasperated Buyers – What’s next? While it is still hot outside, the property market is also warming up for 2017. 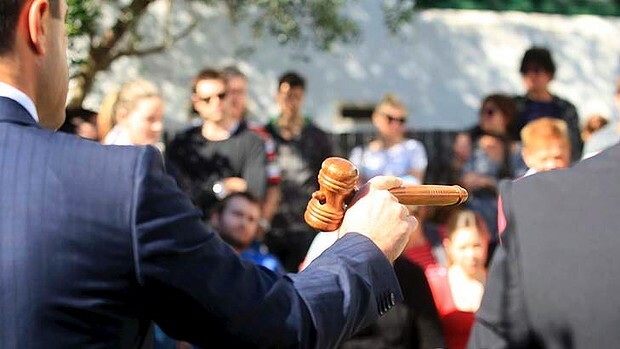 At auction there is only one winner which leaves plenty of exasperated buyers in the wind. This month we look at the pain of missing out and the classic mistake frustrated buyers make. Are you one of these? We then look at solutions buyers can adopt to be successful. Please review our latest seminar options on 15th Feb and 1st March and inspiration corner for some motivation this week. .
Exasperated Buyers - What's Next? Watch propertybuyer's Feb Market Update here, or read below. Talk to any prospective buyer of real estate in Sydney or Melbourne lately and the word exasperated or frustrated is in close proximity. Dramatic price growth in the East Coast capitals has seen property buyers pulling out their hair when missing out on opportunities on a weekly basis. Buying and selling real estate is typically the biggest transaction most people undertake in their lifetime – throw in an emotionally charged auction, lack of stock, screaming kids in the back seat during endless inspections, a few heatwave conditions and arrogant agents unwilling to disclose a price guide and you can plainly see why buyers are frustrated! We speak to prospective buyers every day that feel like they are getting nowhere after spending every weekend for the past year looking fruitlessly and quickly become despondent. Pointing the blame at low interest rates, lack of supply, restrictive planning controls or lending constraints won’t solve the problem overnight. There are many deep-seated issues driving our property markets north that require long term structural policy changes. One of the dangers of becoming exasperated is that you can let your heart rule your head. Just like in a heated argument you can say things you regret, so too in a hot property market you can make mistakes that will cost you big time. “Wounded bulls” is the name given to buyers at auction that keep making offers when the price has gone well above realistic market value. This buyer has missed out on so many auctions they just keep bidding till they are the last one standing! Leichhardt’s median house value has increased from $1.23m at start of 2016 and now sits at $1.49m at Jan 2017. That’s a $260,000 rise! Caringbah saw a median house price increase of 13.5% last year from $1.21m to $1.37m giving a $160,000 increase over 12 months. Cammeray in Sydney’s North Shore saw median house values rise from $2.015m to $2.365m over 2016 giving a $350,000 value increase. Randwick in Sydney’s Eastern suburbs had a median house value of $2.079m which rose to $2.340m by the end of 2016 providing a $261,000 increase. The message from above is that it’s a lot easier to create by equity holding a good quality property than by trying to save up more for a deposit. One of the first things we do with new clients is help create a clear property brief which contains a strategy on the location and types of properties we target. With the dramatic price rises over the last 4 years, buyers need to recalibrate their expectations or consider alternative areas. We are buying in markets with budgets as low as $300k for investors and over $5m for home buyers in prestige suburbs. As our business is over 16 years old, we have established a substantial agent database to uncover both on and off-market opportunities. We proactively search the market and compile a shortlist of suitable properties for each client then arrange inspection times. This saves substantial amounts of time. Once the best property is found we then complete a detailed appraisal report showing recent comparable sales and other key market data. Once we are confident we have the right property, we then move to the negotiation phase – this is an area we really shine. We know the best offer strategy to get vendors and agents to say yes and we know the right moves to make at auction. We also protect buyers from making emotional decisions and advise clients when to walk away. Pest and building inspections and contract review are also completed in this phase. Securing the property via formal contract exchange can often be a race to the finish line – we have excellent rapport with agents and get the edge over other buyers.